It’s been four years since The Trews released their last studio record, the largest gap of their career. In the meantime, the band switched management, changed the man behind the drum kit twice, and released a career spanning compilation, “Time Capsule”, in 2016. The latter did contain three new songs, but I was more than excited for new material. They are back with a brand new album “Civilianaires” that brings a sense of renewal for the band. The record contains what is probably the biggest refresh to their sound of their career. It still sounds very much like The Trews, but with a fresh coat of paint. The band weaves in pop influences, most obviously in the production. Saturated tones are found all over the 13 track opus, with denser arrangements than in the past. Much of that renewal is probably due to Derek Hoffman, who produced the album. Songs like “Jericho” (the album’s crowning achievement in my view), “Is It Too Late” or “Amen” bring a gospel touch that mixes in naturally with their songwriting. It’s an influence that’s always been present in their music, but seems more at the forefront this time. The first half of the record contains the three rocking singles that were released ahead of the album’s launch: “Vintage Love”, “The New Us” and “Bar Star” have that saturated production sound I mentioned but sounds like classic Trews, although that pseudo synth bass line on the latter is definitely a surprising addition. The second half is where the band stretches its legs the most. It’s a bit weaker than the first half, but “Up Sweet Baby” and “Jericho” stand proudly amongst the numerous gems the band has produced in their career. “Harder to Love” is probably the one track that will take their fans by surprise the most, as its the furthest from their core sound, but when you take time to dissect it, there are a lot of elements that are pure Trews. Overall, it’s probably than the self-titled album they released last time, but that was in my opinion their career defining release. How do you top perfection? Well, trying something new is definitely the way to go. And you know these songs are going to be simply amazing live. I’ll vouch for the handful I was lucky enough to hear in Toronto a few weeks ago. 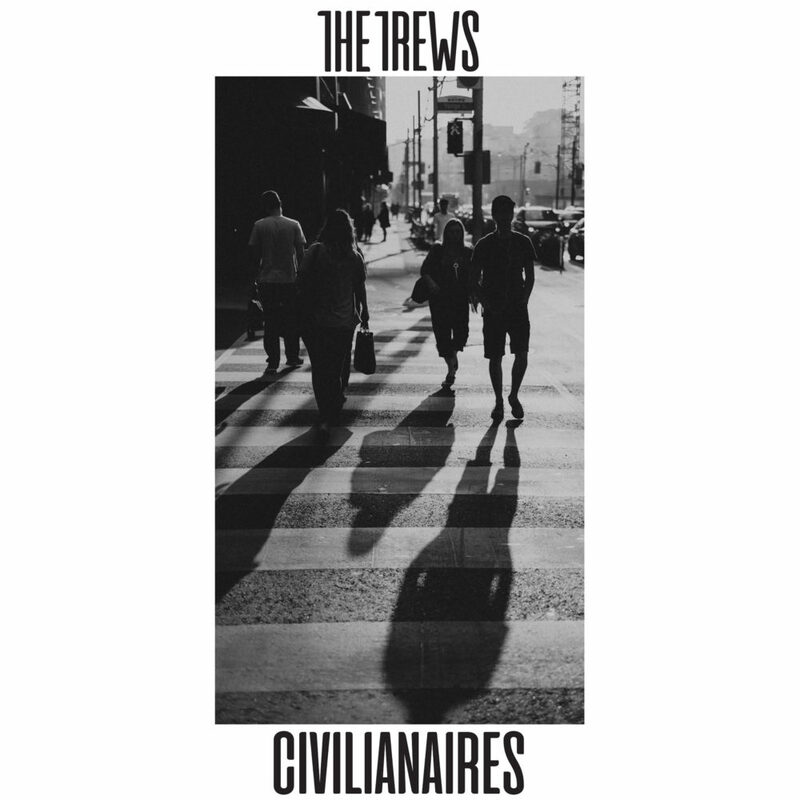 “Civilianaires” is another amazing release from Canada’s most underrated band. Check it out.